Google Sitelinks in Position 60? 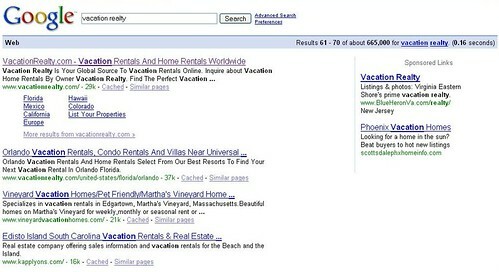 Home > Google News > Google SEO > Google Sitelinks in Position 60? So there is really no doubt that this webmaster is seeing this on his computer. The question is, why aren't any of us? Typically, I wouldn't report something like this, but it is very unusual, so I wanted to draw more eyes to it. What I do find very interesting is that Googler, JohnMu, tells the webmaster to look at the -60 penalty Google Groups thread. Does he mean to imply that some sites with the -60 penalty, that deserve a number one position, will see Sitelinks in position 60, in these cases?